Delonghi BG24 will give you everything you want from an indoor grill. 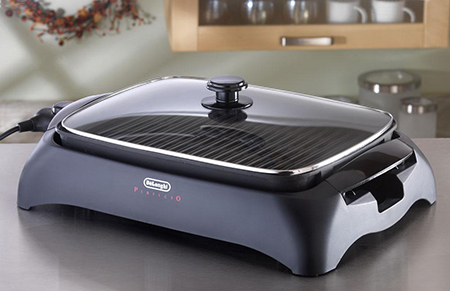 This Delonghi Indoor Grill has every function to cook a perfect meal. The cooking surface of this grill is very large and it helps you to cook food for your whole family. The unique feature of this grill is that it doesn’t create smoke. The embedded heating element helps to distribute the heat evenly through the whole cooking surface. The drip tray underneath the cooking surface will store all the grease in it. The cooking surface is nonstick so it will not let the oil stick into it. The countertop grill comes with a glass lid which will keep your food tender and juicy. 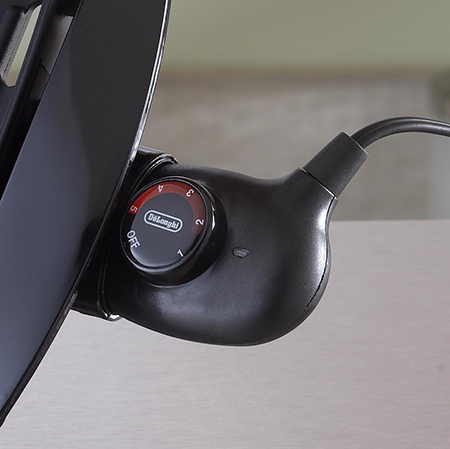 There is an adjustable and detachable thermostat with the grill. You can control the temperature from 1 to 5 level. This Delonghi Indoor Grill is very easy to move. It will sit perfectly in your countertop and use it as a countertop grill. Delonghi indoor grills have always given the customers the best products and service. 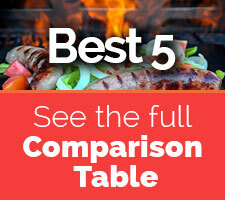 It will not disappoint you with this magnificent electric indoor grill. 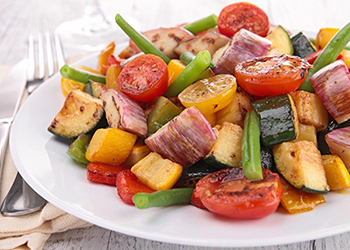 You may take two batches to cook a whole meal for 5 or 6 persons. The cooking surface is about 12 by 6 inches. The unique feature of the grill is it has a detachable and adjustable thermostat. You can remove the thermostat while washing the grill. You can control the temperature to 5 levels. The thermostat doesn’t show temperature, but it works nicely. 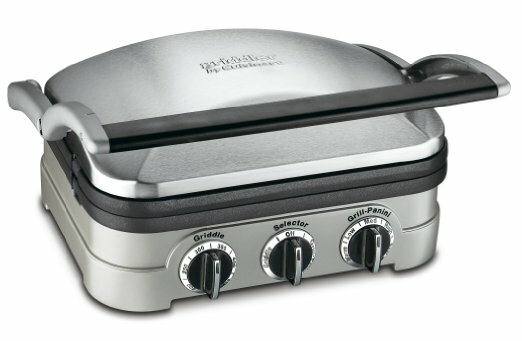 If you want an indoor grill that shows its temperature in Fahrenheit, then you can go for Cuisinart GR-4N Griddler or Breville Smart Grill BGR820XL. The highest temperature is 450 degrees Fahrenheit. The grill also has an indicator light which tells you when it is on and warming. 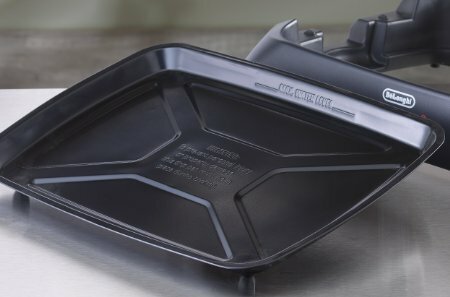 The non-stick cooking plates and drip tray are removable and easy to clean. The drip tray stays in a perfect position so that the grease and oil go in the drip tray. The features of this beautiful countertop grill all together work magnificently.If you want a clamshell style indoor grill, then the best option for you is Cuisinart GR-4N Griddler. People get worried about the cleaning part after cooking. But for Delonghi indoor grills, it is an easy task. First of all, the nonstick parts can be easily removed. The thermostat can also be detached which is very unique. It can be joined again easily. While cooking, all the grease and fats will be stored in the drip tray. This countertop grill also has a nonstick splatter shield around the edge which will stop the grease to fall. Your kitchen will not get messy. After cooking, give it some time to cool down. Then remove the drip tray and cooking surface and put it in the dishwasher. If you don’t want to use a dishwasher, then you can use soap and water sponge. It will be very easily cleaned. You won’t have to give a lot of time to clean the whole grill. And so on. If you can use this countertop grill properly, it will give you the best cooking experience. First preheat the grill for 10 minutes. Then put your food in the grill. It will cook your food in a reasonable time. Suppose you are cooking a burger. It will take about 8 to 10 minutes. After 4 minutes, flip the burger and cook it for another 4 minutes. Close the glass lid and your burger patty will come out very juicy and tender. Its unique embedded heating element will cook your food consistently and thoroughly. All kinds of food will be very delicious and mouthwatering. Just use the appliance once and you will fall in love with it. The Delonghi BG24 Perfecto Indoor Grill will give you a nice experience. One of the attractive features of this Delonghi Indoor Grill is that it doesn’t create smoke. It is very unique. The trick is to put some water in the tray underneath and it will not create smoke. Delonghi Indoor Grill has so many functions in it. The plates are made with embedded heating element which will give you a consistent result. There are so many features, but the price is cheaper than the others. You can find all these features in a very reasonable price. What else do you need? I highly recommend this grill. The name perfectly matches with its service. It is a perfect indoor electric grill indeed. Just use and feel the difference yourself! Other skillet style indoor grills are George ﻿﻿F﻿oreman﻿ GGR50B, West ﻿﻿Bend﻿﻿ 6111 which contain some unique features. Click to compare.